New in 2014, the Asheville Marathon added a half marathon, much to the delight of prospective race participants. 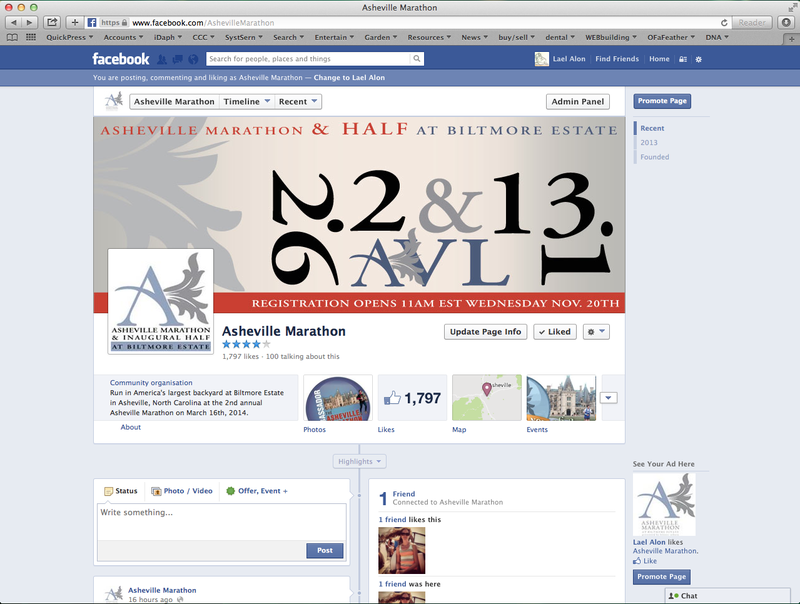 In efforts to properly announce the newly offered choice between a 26.2 and a 13.1 mile race in America’s Largest Backyard, Biltmore Estate, I created this Facebook cover photo and promotional ad to share the good news! November 2013.